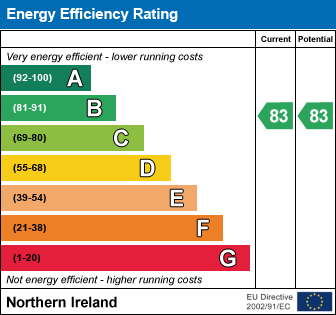 Insulated to new building regulations, these homes should see a significant saving on energy bills. Impressive high quality units with choice of doors, handles, worktops with upstands and glass splashback behind hob. Recessed low energy down-lights to ceilings. Ceramic tiled floor to kitchen/diner, bathroom and ensuite. Carpets to bedrooms, stairs and landing. Maintenance free external finishes including uPVC fascias, soffits, valleys, ridges and rainwater goods. A management company will be formed to organise the upkeep and well-being of the communal areas within the development. Please note that specifications may be subject to change. All images are representative only and only intended to give an indication of the finished property prior to completion. Buyers should satisfy themselves as to the finishes and details by visiting the site to see properties in course of construction prior to making a commitment to purchase. KITCHEN/DINER 20' 5" x 17' 4" (6.22m x 5.28m) (At widest points) - Luxury kitchen in choice of finishes. Tiled floor. ENSUITE SHOWER ROOM: White suite comprising shower cubicle, WC and wash hand basin. Tiled floor. BATHROOM: 11' 3" x 6' 4" (3.43m x 1.93m) White suite comprising bath, WC, wash hand basin and shower cubicle. Tiled floor and splash backs. SHOWER ROOM: 7' 0" x 6' 0" (2.13m x 1.83m) White suite comprising shower cubicle, WC and wash hand basin. Tiled floor. Gardens turfed to front and rear with tarmacked driveway. Towerview Meadow Development This property forms part of the Towerview Meadow development. Check out the property I found on PropertyPal.com: The Strand, Towerview Meadow, Main Road, Cloughey.